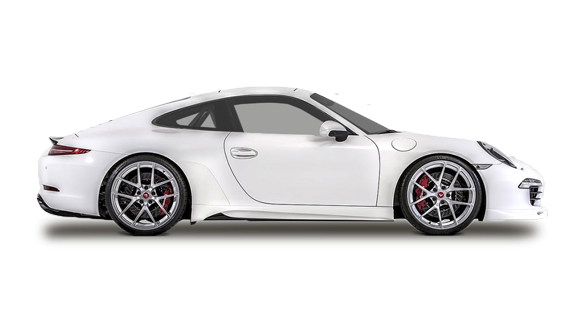 Window tinting is an art that we have mastered and we are proud to offer our great car, home, and office tinting Sydney services to customers who want a reliable and passionate tinting service where all work is guaranteed. Window tinting a car has great benefits like enhancing the look of your vehicle while reducing cabin heat saving you on fuel and it stops the sun from fading your precious interior also protects you from skin cancers. 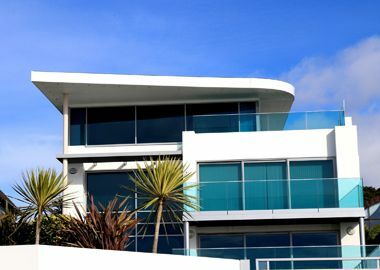 Window tinting your home in Sydney is important as it will reduce heat and your electricity bills while protecting your precious furnishings and flooring from fading. 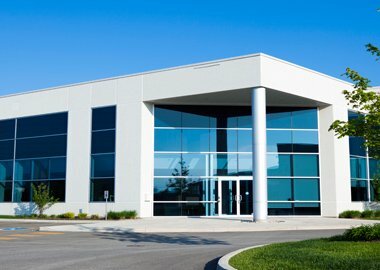 Commercial window tinting in Sydney will save you thousands on your energy bills while keeping your office cooler making a great working environment for your valued employees. 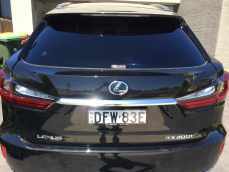 Why Window Tinting in Sydney is Beneficial? 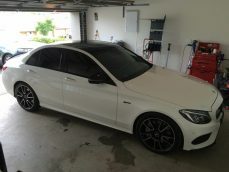 Exclusive Tint Sydney was established in 2010 by George the owner who is a passionate perfectionist that had previous experience working for many of the big name tinting places in Sydney. George delivers precision workmanship in each and every tint job he does and this can be seen in his car tinting videos. 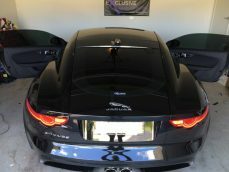 He established Exclusive Tint to offer his unique tinting methods to customers with the more expensive and difficult cars to tint that others are afraid to touch. He is always looking for new ways to tint most car models without the removal of the door trim and still get a clean Exclusive result. Exclusive Tint Sydney – Passionate and Detailed! 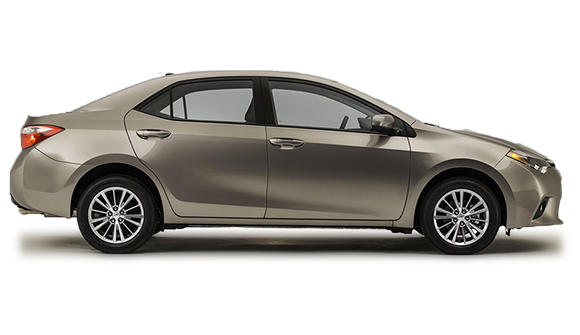 Exclusive Tint Sydney uses the three most popular window tinting shades we do this to make choosing the right tinting shade an easy experience for customers. Our tint shades range from no tint to 35% legal, 15% and 5% limo tint. You can get a rough idea on how our tint shades will look on a car by using our unique tint shade chart and simply choosing the level of tint and it will change the shade on the car’s windows with three different cars to chose from it is our great way to help you make the right choice. Very pleased with the result, very friendly and welcoming service, based in his home garage, the environment was tidy and professional. The use of high quality products and advice given it is evident that he has many years of experience within this field of work which is shown through his work ethic. Without a doubt one of the best window tinters in the trade. Highly recommended. Took my new Subaru Forester to Exclusive Window Tinting Hoxton Park today and later drove away with a car that not only drives great but it now looks FANTASTIC! The window tinting (Johnson’s Marathon) added so much to the look of the car. George was helpful from my first call to him. I, like any savvy shopper, rang around and at the end, was happy to go with my gut feeling and get George to do the tint. The first thing that impressed me was the website…clear and ‘polished’, secondly was George’s manner on the phone… friendly and informative and finally the finished product and promise of after care advice if needed. Can’t recommend Exclusive highly enough! My car is great! Thanks George! I met up with George on the back of a referral from a mate who was more than happy with his work. After seeing the finished product on my vehicle I can definitely recommend Exclusive tinting for any make of vehicle. His friendly and professional service made it easy to deal with him and his intimate knowledge of so many makes of vehicle gave me the confidence he would deliver on his word. He clearly displays his enthusiasm and love of the trade which for me shows someone who cares about their work and not just a quick buck. I’m extremely happy with the result and already referred a family member the same day. George from Exclusive Window Tinting tinted my Mercedes C250 with top notch film. I was looking all over sydney for someone to tint my car as I am very fussy. I am extremely satisfied with the job and I would recommend Exclusive Window Tinting to anyone looking for a first rate job on their pride and joy! I was looking for someone to TINT my car ASAP i just had a nice DVD head deck installed the night before and i called a few different company’s the next morning and they were very unhelpful and were too busy to fit me in, so….. 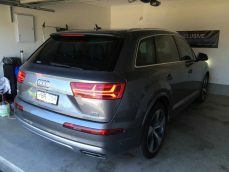 I Google’d and found EXCLUSIVE WINDOW TINTING sounded catchy, I called and spoke with George the owner and what a gentleman he was very helpful and understanding, i explained i wanted my car tinted asap and that night i drove out to his place and got the BEST CUSTOMER SERVICE i have EVER RECEIVED…. He explained everything in detail. He did a FANTASTIC JOB on my car… If anyone needs a tint go and see George you wont regret it and he is the BEST OUT!!! no problems… very clean JOB. George and the team at Exclusive were an absolute pleasure to deal with. The service was friendly throughout and George’s attention to detail when carrying out the tints was amazing. We took the company Holden SSV ute and Toyota Hiace Van and both were completed within the estimated time frame without any hint of a bubble or dust. Remarkable job and will happily recommend. Thanks again, keep up the great work! From the first call into George to inquire about window tints to the finish product, dealing with George has been a pleasure. Always willing to offer helpful advice and honest answers he is the man to speak to when it comes to tints. The quality of Georges work is unsurpassable the materials used and care taken resulted immaculate window tints. Needed to get car window tinting and contacted Exclusive they are friendly and did a great job would highly recommend them. Took my ford territory there, looks immaculate! Dropped it off in the morning, was done in two hours. Great service. Needed car window tinting a got the guys from Exclusive to do it and they were friendly and did a great job on the job would highly recommend Exclusive Window Tinting. 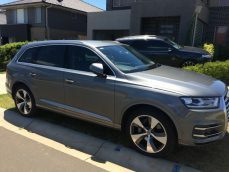 I got my car window tinting done at my apartment in Parramatta by Exclusive Window Tinting and they did a great job they are great to deal with and do a very clean job. I would like to thank George for tinting one of our company cars. The job was perfect, clean, and neat and the customer service was excellent! Highly recommend Exclusive Window Tinting. Thanks mate! George tinted my car windows and what a great job he did. The tint looks awesome so professional , The service was first class I cant thank you enough. I wouldn’t hesitate to recommend George and his many years of experience to all my family and friends. I will be taking family cars back to George to have them done in the near future. Thanks for the great service George. These guys did my car window tinting and they did a fantastic job. I will be highly recommending them. The video on the website says it all! Thank you! Thank you George for the great job on all 3 cars. Extremely happy with the quality of the installation and product used. Would highly recommend your services. One EXTREMELY happy customer. Owner was even able to work around my work roster due to me taking a half day at work, he was flexible and ensured that the job was finished in time for me to get to work on time. The quality of the job and the product are world class and I’ve had a few tints done to previous cars over the years and this is by far the best. I will be referring all my family and friends to Exclusive Window Tinting A+++. Thank you very much!!! 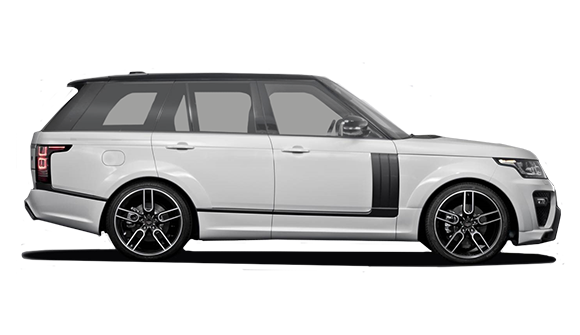 We searched for a window tinter who would look after our customers needs for tinting on their vehicles. We finally found someone who was prompt reliable and exceptional with his work. 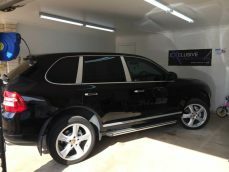 George not only provided the best tinting but offered the best prices with quality. 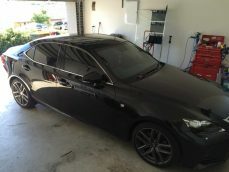 Exclusive Tint Sydney should be your first choice for car, home, and office tinting in Sydney. We exceed customers expectations because we love what we do and this is evident in our overall presentation as a window tinting Sydney service. We have gone the extra mile to add our unique tinting videos on our website and our one of a kind tint shade chart to help educate customers about tinting in Sydney. Not to mention our unique style of tinting the windows of a car without removing the door trims on most models. We also shrink every rear window in one piece so there are no joins. 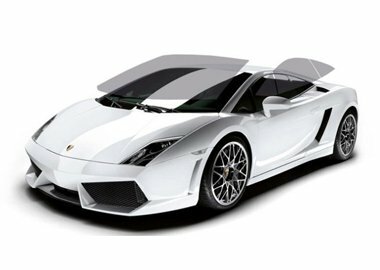 We custom fit your cars wind up windows to the top edge so there are no gaps. We are a Sydney window tinting service that is here to stay and we only use window films from the US that are backed by a manufacturer lifetime warranty. If you want a quality and professional car, home or office glass tinting Sydney service check us out as we have a big Google presence with many great customer reviews and YouTube with our great videos this makes us stand out above the rest.